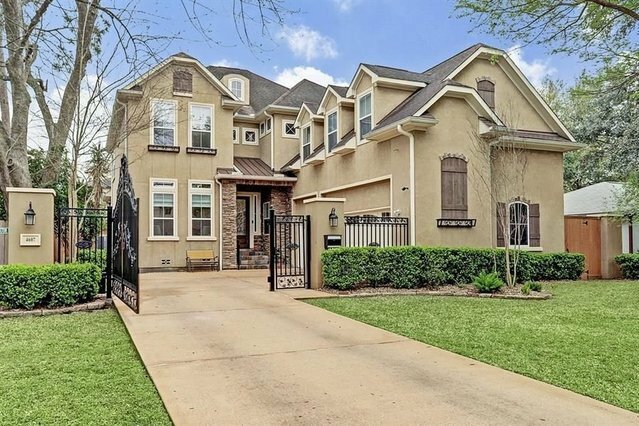 Extraordinary Bellaire home with a fabulous layout just a hop, skip and a jump from everything that makes inside the loop Bellaire so much fun! 4607 Holly has it all, including a three-car garage and the much sought after possible 5th bedroom down.Open and bright kitchen flows into the family room and both abound with natural light. Formal dining, formal study (possible 5th bedroom down), generously sized butler's pantry with ample storage, and a huge walk in pantry! Wonderfully large multi-use mud room off the garage, huge game room up with its own arcade enclave, two-station kids' homework nook. Gorgeous master suite with amazing closets. Fourth ensuite bedroom up could be private nanny quarters or guest quarters.Both HVAC replaced (2017), tankless water heater (2017), water softener system (2014), completely remodeled kitchen(2015) plus much more.Sellers say, Yes, home stayed high and dry during Harvey!